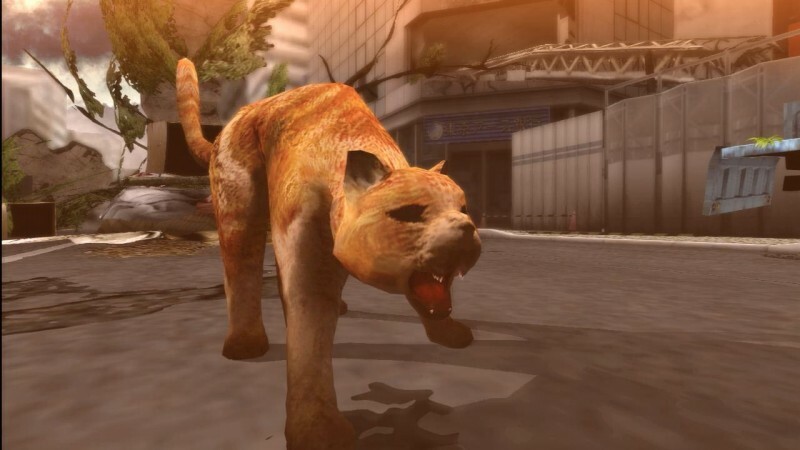 Trailers for Tokyo Jungle have excited a niche audience of gamers with their absurdity, showing Japan's capital city overrun by virtually every species of animal imaginable. 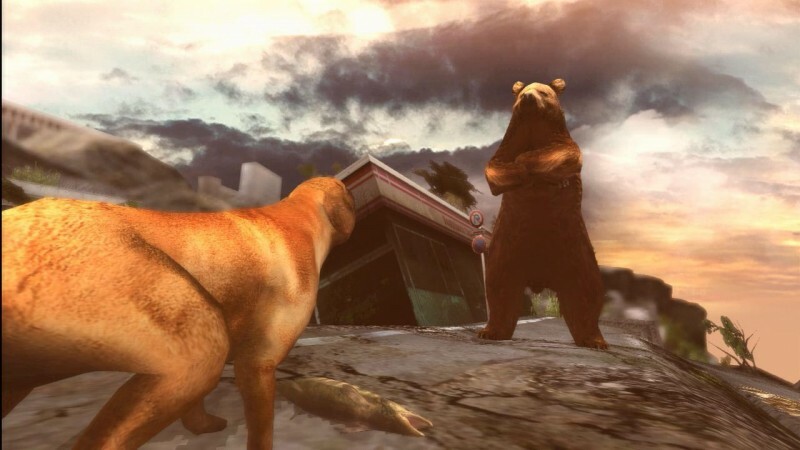 While the struggle to survive in this hellish city-turned-zoo is more repetitive and boring than you might hope, the PSN-exclusive title delivers enough quirky fun to keep you going. 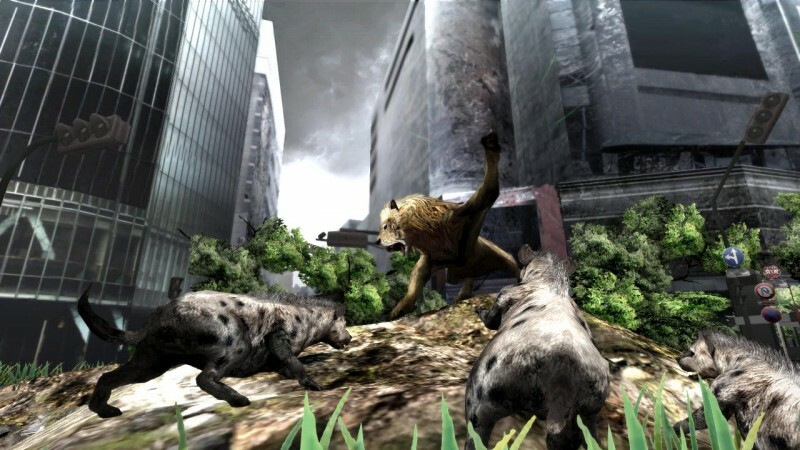 Unlike virtually every other game on the market, Tokyo Jungle's story mode is more of a side attraction than a destination. 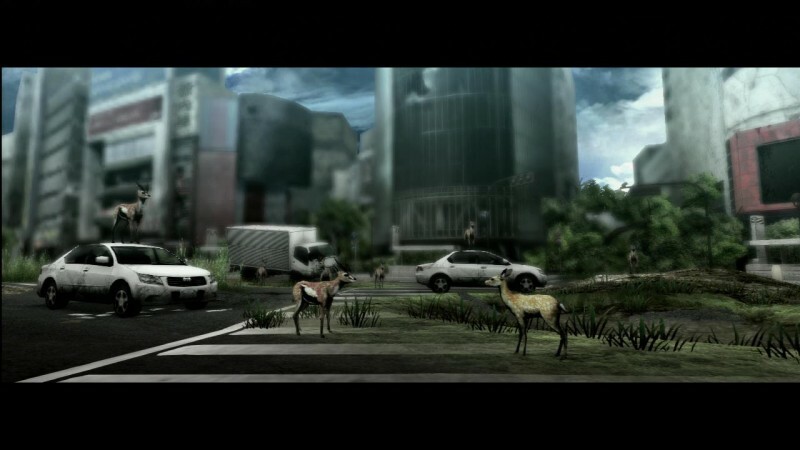 It offers a few peripheral narratives for select animals, including a once-coddled Pomeranian who must now fend for himself and a young deer in search of its mother. These stories are unlocked in the narrative-free survival mode, which makes up the vast majority of your playtime. Survival mode contains some annoying eccentricities (for instance, the game doesn't track your progress towards completing challenges until they're activated, and the initial tier doesn't unlock until after the first in-game year has passed), but once you figure out the poorly explained mechanics, it offers a fun grind. You pick your animal, prioritize the randomly generated challenges, and start working towards them with the larger goal of unlocking the next playable species. These include everything from baby chicks to lions, and (somehow) even dinosaurs. In a disappointing cash grab, a few of the cooler species like pandas and crocodiles can only be purchased separately via the PlayStation Store. Once I unlocked the next species, however, I found little reason to continue playing. You can complete more objectives and spawn additional generations of offspring for a higher score, but you've already unlocked the best reward you're going to get. 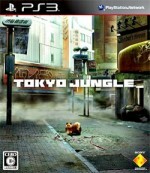 Tokyo Jungle's biggest drawback is repetition. A handful of environments are chained together in a linear order, and while it's technically an open world, most areas are narrow avenues, making it feel as though you're running through shallow dioramas. An actual open world (not to mention varied starting locations) would have gone a long way towards staving off the monotony. Gameplay also lacks variety. Goals, while randomly generated, conform to a select few archetypes, and aside from the different eating habits of carnivores and herbivores, your routine is the same regardless of what animal you choose; search for food, prey on animals smaller than you, hide from animals bigger than you, mark your territory, and find a mate. Just make sure you pick a good one: Hooking up with a "prime" female results in more, healthier offspring, whereas a "desperate" mate will only give you one or two children and probably a bad case of fleas. Don't let adorable Pomeranian puppies and baby chicks fool you. Beneath the cutesy veneer are the dark realities of survival. 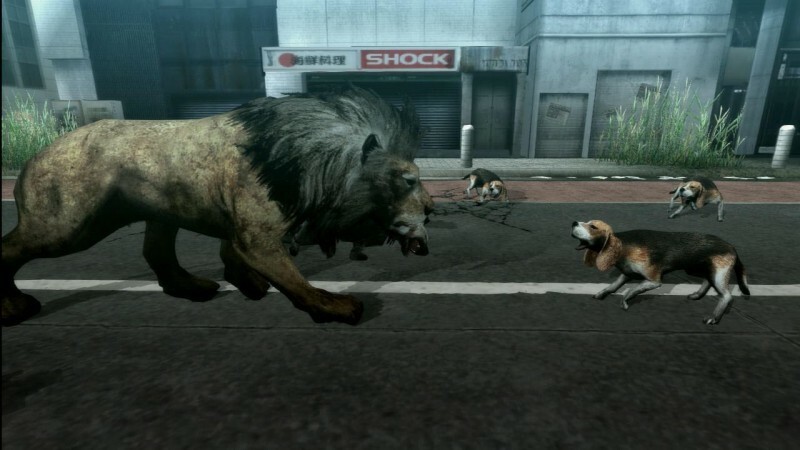 Tokyo Jungle is literally a dog-eat-dog world; I cringed when I had to strike down and eat a golden retriever in order to prevent my beagle from starving to death. Combat is bloody and favors the strong. The best that weaker animals, like a deer, can do is sacrifice a littermate to increase their chances of escaping. Don't play this game around children unless you're aiming to traumatize them. Luckily, surviving is easier (and more fun) with a friend. 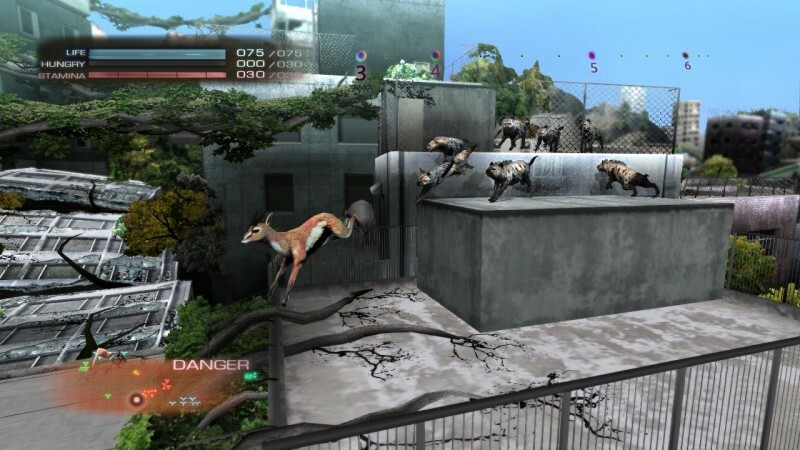 Tokyo Jungle's same screen co-op mode allows two players to team up and work towards the same objectives together. Resources are scarcer if your animals share the same food source, but you're still better off than going alone, and having a co-op partner delays the inevitable onset of boredom. 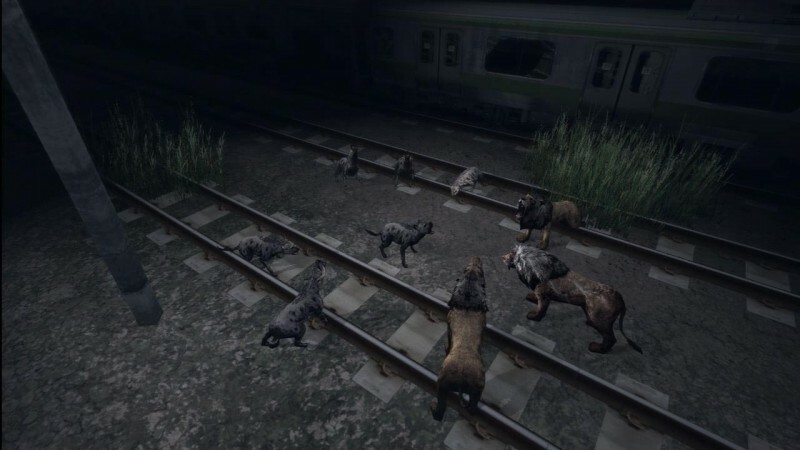 I sank plenty of hours into Tokyo Jungle, and still want to play more. I'm just not sure why, as the repetitious gameplay limits the amount of fun I've had with it. 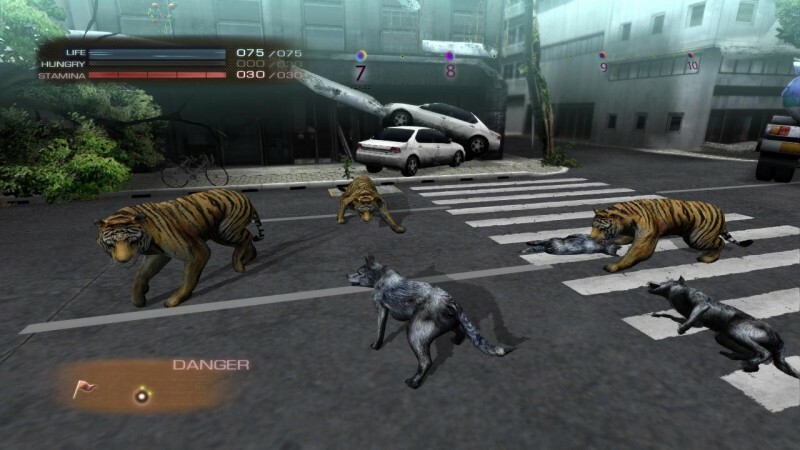 Still, if you're looking for something off the beaten path – or just want to see a bunch of animals doing it – Tokyo Jungle provides a modest amount of entertainment. 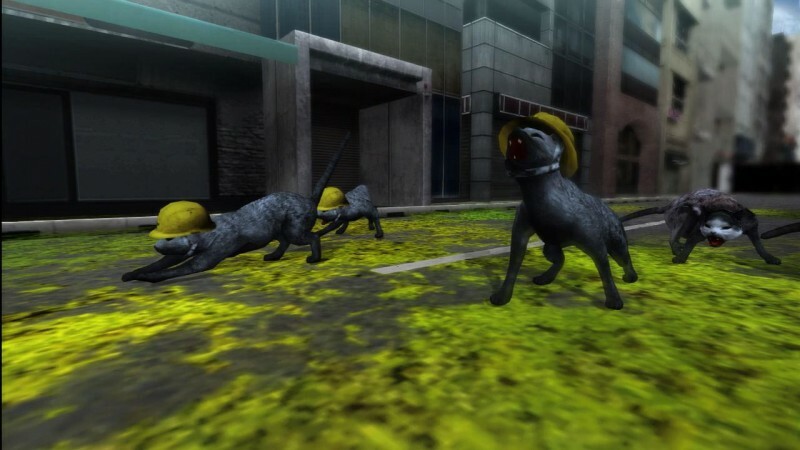 While the struggle to survive in Tokyo Jungle's hellish city-turned-zoo is repetitive, the PSN-exclusive title delivers enough quirky fun to keep you going.